With UEFA EURO 2016 kicking off, who are you rooting for?! 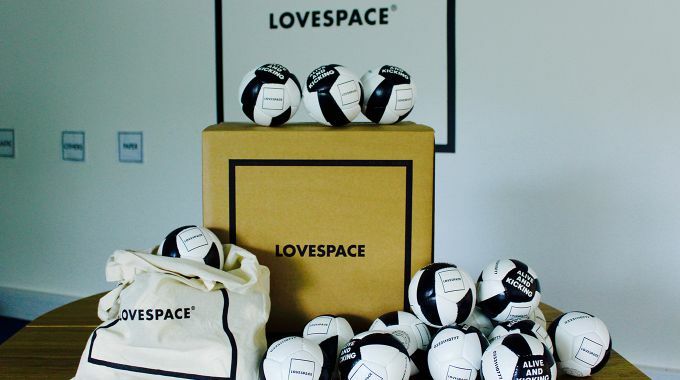 There are many football fanatics here at LOVESPACE HQ, and we even have our own Euro Sweepstake, which is getting rather competitive! But business goes on as usual. 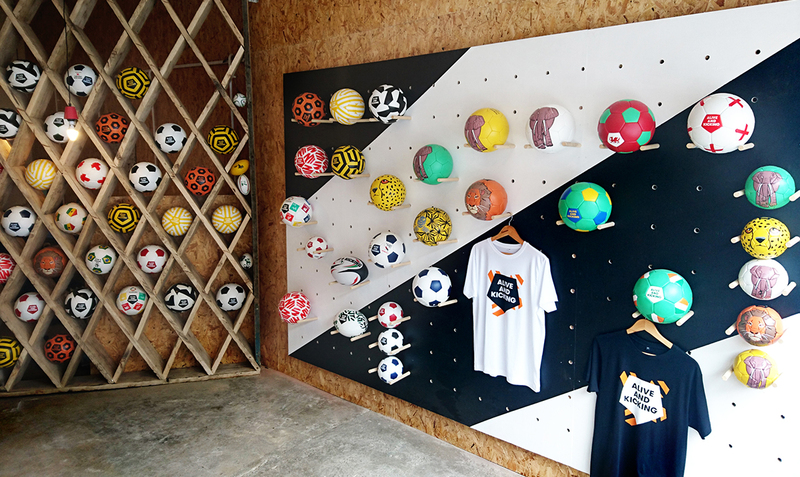 The best part is that our latest charity effort happens to be Alive and Kicking, a non-profit social enterprise that makes sports balls in Africa, creating jobs, promoting the right to play and raising health awareness through sport. We love supporting socially-conscious organisations! As a company that offers logistics for great value, we’re often approached by non-profits and charities to see if we can help with their storage and transportation needs. Alive & Kicking got in touch because they needed help with moving office, and wanted one month’s storage for their stock as their new office was not ready yet. Our driver Laurence was the hero of the move, collecting the items from their old office in London Bridge and delivering them to their new home. Check out their lovely store and office at 147 Hoxton Street! We love what Alive and Kicking do so much that we offered them 20 free cardboard boxes to pack up their stuff before their office move, and a charity-special storage price. 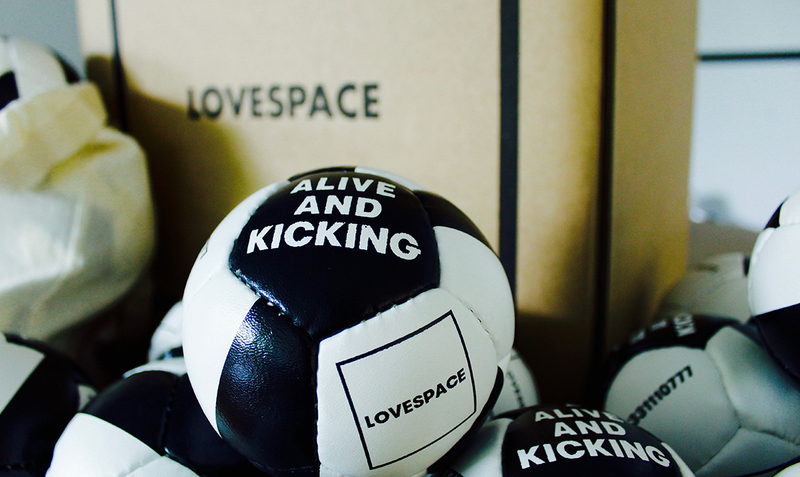 In return, they have given us 25 mini tailor-made LOVESPACE footballs as a thank you. How cute are these?! These balls were hand-made in Kenya, Zambia and Ghana, employing people from the local communities looking for work. Check out their hand-made process here. They don’t just create jobs though: they also raise awareness about healthcare issues such as HIV and malaria by printing informative messages on the footballs, educating the children who play with them. For some of the children who receive the footballs, this is their first proper toy. What’s more, the charity trains local coaches to deliver health educative training drills to their football teams, continuing the impact of their health care education for years to come. We’re really proud to have helped Alive and Kicking with their office move. If you’d like to find out how we can help your charity or business, get in touch today. You won’t even have to bribe us with free gifts – we’ll always offer free collection from any UK address! Isn’t it time you saved on space and time for your business? Or get in touch over email for your exclusive business discount.